Lance Cpl. 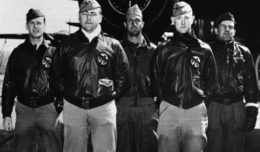 Daniel Bolewski (left), a landing support specialist at Combat Logistics Battalion 3 and Santa Clarita, Calif., native; and Cpl. 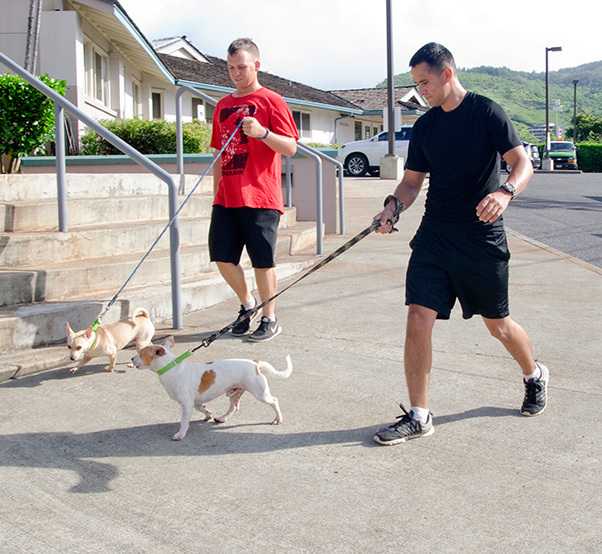 Angel Godina, a logistics noncommissioned officer with Wounded Warrior Battalion West-Detachment Hawaii and Ontario, Calif., native, take shelter dogs out for a morning run from the Hawaiian Humane Society, Oct. 4, 2015. Bolewski and Godina are Marine Corps Base Hawaii Single Marine & Sailor Program volunteers. Through SM&SP, single or unaccompanied Marines and Sailors have the opportunity to volunteer at the shelter throughout the year. The service members take adoptable shelter dogs out into the community for exercise. The SM&SP also offers other volunteer opportunities such as preparing meals for the homeless at the Institute for Human Services, and sorting items at the Habitat for Humanity. Part of Marine Corps Community Services Hawaii’s mission is to contribute to the retention of Marines, Sailors and family members aboard MCB Hawaii by offering various recreation programs such as SM&SP in garrison and deployed environments. For more information, visit www.mccshawaii.com/smsp.